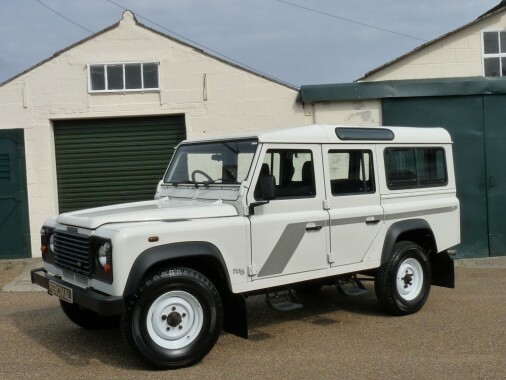 A superb early (1999) twelve seater TD5 Defender in original, unmolested condition. It has covered only 83,000 miles since new with a full stamped service history and has had two owners up to November last year. It has new towing equipment fitted indicating that it has not been used for towing before. The Defender has new road biased tyres all round and is possibly the best driving one we've had - it's goes well, does not crash and bang and drives in a straight line! It has obviously lead an easy life. The registration number P4 ROV is available by separate negotiation.